Why choose between the mountains and the beach for your summer travels when you can do both in one place? We recently opted to go on a camping trip to the Raystown Lake Region. It was the perfect place to meet up with Dave's family, who lives in the Eastern part of the state, with us living in Pittsburgh. 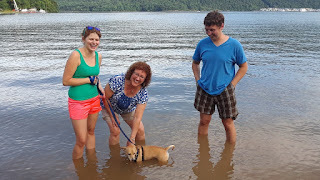 The Raystown Lake Region and Huntingdon County is a fantastic destination that happens to be a short drive for pretty much anyone in Pennsylvania. The reservoir covers a surface area of 8300 acres and a length of 28 miles, throughout the winding course of the Raystown Branch of the Juniata River's valley in Huntingdon County. This makes Raystown Lake the largest lake fully within the state of Pennsylvania. The Army Corps Project also specifies that minimal development is to occur immediately around the lake. Additionally, due to the rugged topography of the area including steep cliffside areas, the vast majority of the land would be unsuitable for development without causing major environmental destruction. This has resulted in the lake having a secluded and wild feel, with trees and major rock outcroppings lining the bulk of the shorelines. The sheer magnitude of the size of this lake is reminiscent of the giant reservoirs out west, such as Lake Powell and Lake Tahoe. It is extremely large and scenic, and the wildness of it with its undeveloped shores, is its greatest attribute. We camped in the Seven Points Recreation Area. This camp area is spread out upon a number of peninsulas in the recreation area, with 6 loops and 261 campsites, many with electric hookups and located within feet of the waterfront enabling you to take in some beautiful views, wade, or even to moor your boat or kayak at your site. The sites are also quite large, being able to accommodate RVs of pretty much any size. Additionally, the sites are all located just a short walk from the beach, boat launching area, interpretive trails, a visitor's center with a museum, and more. It is also located within a mile from the Seven Points Bait and Grocery Store, which has all the supplies you could ever need, along with some fantastic hoagies, hand-dipped ice cream, and more. For more information about the campground, check out this link. There are also other public and private campgrounds within the area, with 3000 campsites in all. Information about all of these campsites can be found at the following link from the Raystown Lake Region. 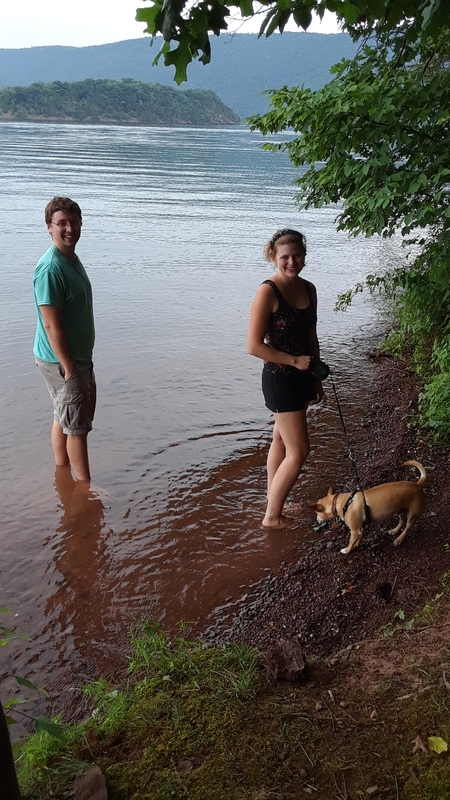 As long as you are not within the vicinity of Seven Points Marina, wading and swimming is fair game throughout the lake. 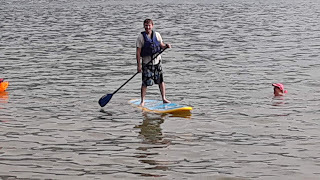 Brit got a stand-up paddleboard rental from Rothrock Outfitters and used their waterside launch at the Seven Points Marina. 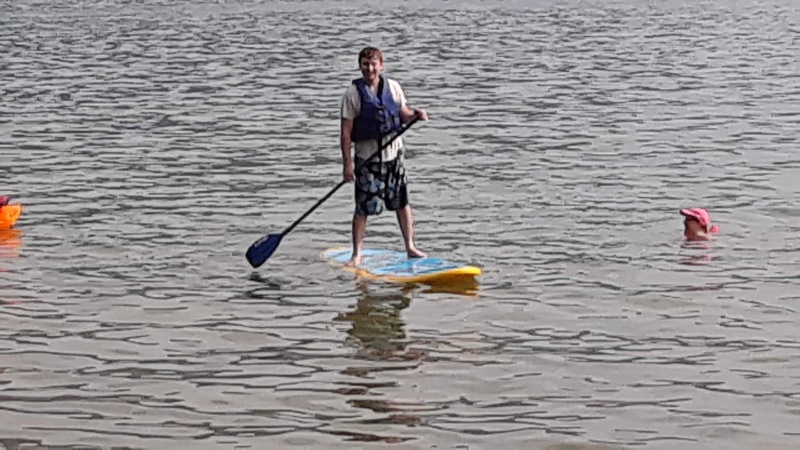 After going through this experience, we recommend that you do a pickup if you have a vehicle that can carry a standup paddleboard or canoe from the Rothrock Outfitters store in Huntingdon and then launching off from another location. The boat launching and mooring area just a few hundred feet over from the marina is the ideal place to launch off from, whether you are bringing in a rental or your own kayak, canoe, stand-up paddleboard, or boat. The Seven Points Recreation Area is such a great place to relax. There are so many options, including swimming, wading, picnicking, taking pictures, sightseeing, or even just pulling up a chair and taking in the sights and sounds. They even have a water trampoline at the beach. There is even a white sandy beach that you can swim at. 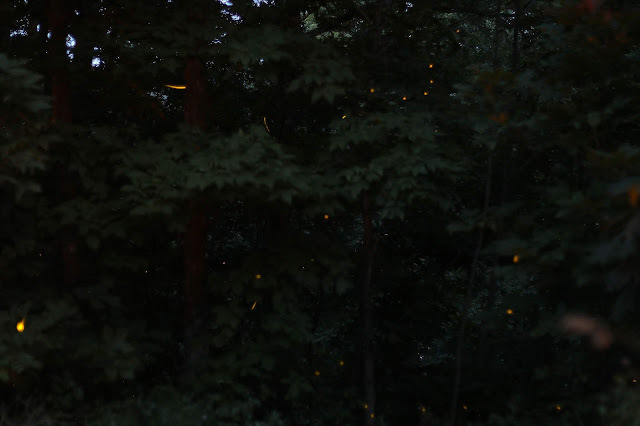 The lightning bugs are especially beautiful throughout the area. The Visitor's Center and museum has many informative displays about the surrounding environment and the history of the region and the lake. A demonstration of ways they help create habitat for game fish at the lake. State record fish have been caught at the lake. 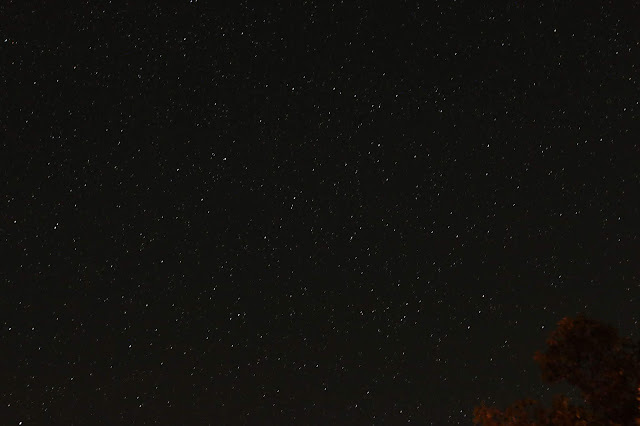 On a clear night, the stars are spectacular at Raystown. We had the chance to take in the sunset/dusk up at Hawn's Overlook and the Ridenour Overlook. These places provide tremendous views of the lake and are often overlooked by visitors. While the sunset was not as spectacular as this one was from a few years ago, it was still quite beautiful. For directions to the overlooks, follow this link. Seeing morning fog at the lake is so beautiful. 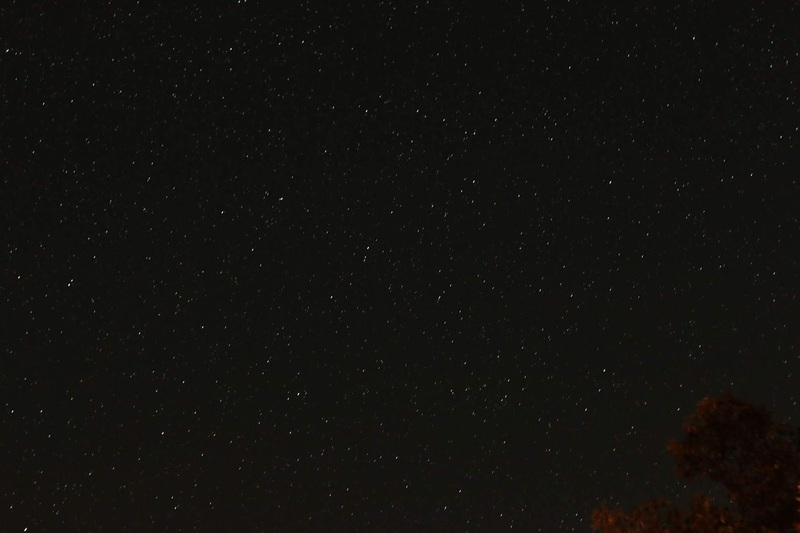 This view was taken from behind the Visitor's Center at the Seven Points Recreation Area. There is a stunning array of wildflowers planted in the boat mooring/picnic area at the Seven Points Recreation Area. We saw many little birds and butterflies that were hovering around the gorgeous flowers. It is abundantly clear how much thought and care is given to the upkeep of this recreation area. A 2.3 mile crushed rubber pathway works its way around the entire area of the Seven Points Recreation Area and campground. The Greenside Pathway enables easy and safe walking between everything that the recreation area has to offer. Also available at the recreation area is a world-class mountain biking facility, the Allegrippis Trails with trails suited to people of every mountain biking skillset. It attracts people from across the globe and is ranked amongst the world's elite mountain biking facilities. More information about the facility can be found in this article. A vista heading up towards the Lake Raystown Resort, a place that we cover here in our next installment on Raystown Lake.